1st grade and 2nd Grade kids will have fun practice addition and subtraction with these fun Candy Corn Addition & Subtraction Puzzles! 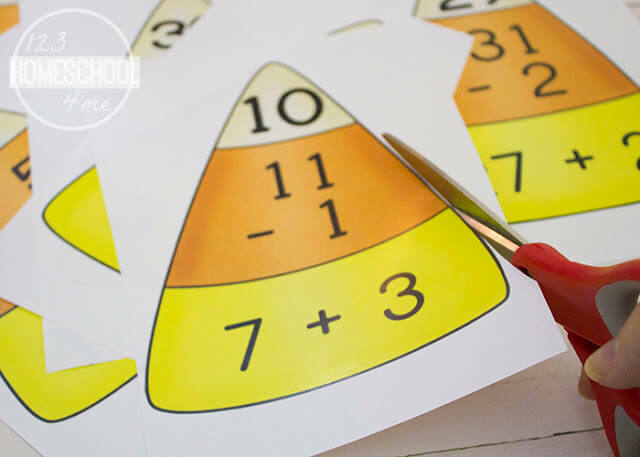 This is such a fun fall themed learning activity to practice math. Kids need lots of practice to get good at math. 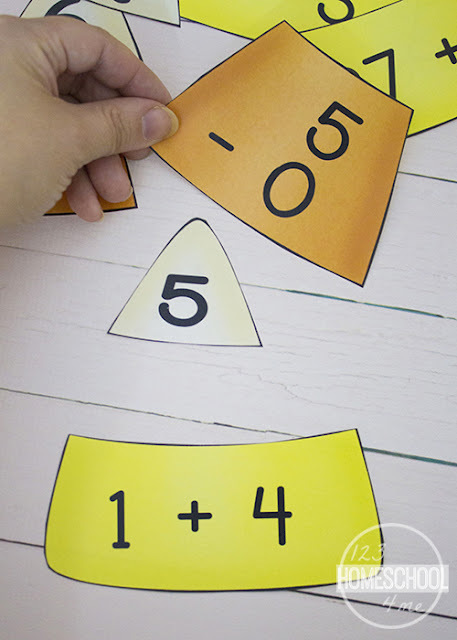 Why not make practicing addition and subtraction into a cool math games for 1st & 2nd grade students with this fun, seasonal kids activity? 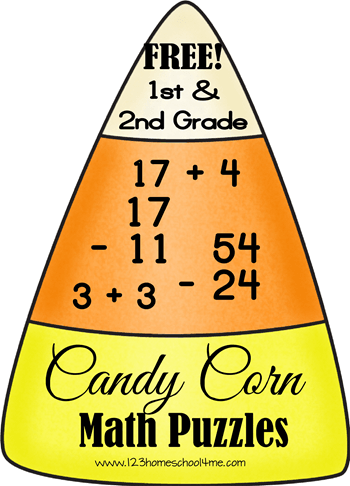 Just print on cardstock (for durability) and cut out the candy corn and then cut apart the different colors. 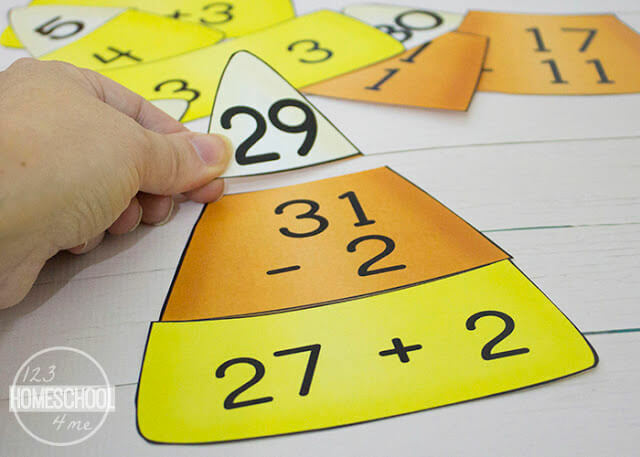 To play kids just need to solve the addition and subtractions equations and put them together with the correct answer to complete the puzzle. There are 18 puzzles in all.